PACKAGING NOT GUARANTEED TO BE IN MINT CONDITION. NOT MINT ITEMS MAY SELL OUT AT ANY TIME. ORDERS MAY NOT BE FILLED. Your collection is about to rock and roll! Expand your Metallica collection with the iconic Lady Justice. 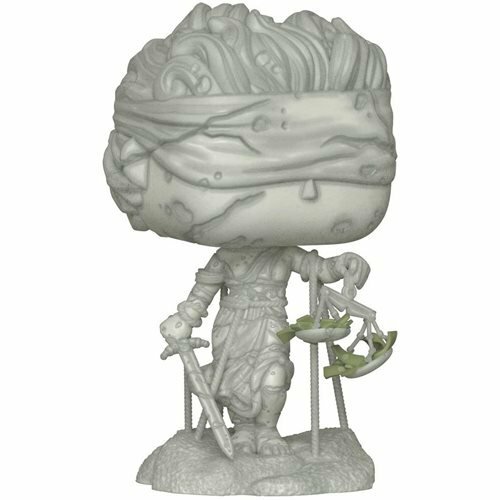 Measuring approximately 3 3/4-inches tall, this Metallica Lady Justice Pop! Vinyl Figure #89 comes packaged in a window display box.